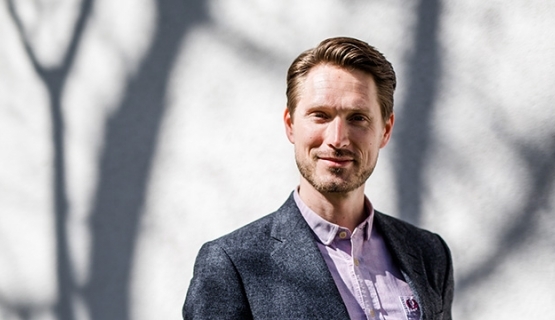 “We wanted everyone to get new insights”, states HR Business Partner Andreas Nyberg. A tailored program for Nordic Investment Bank brought together a diverse group of experts from bankers to lawyers. Nordic Investment Bank, or NIB, is a specialist organization with some 200 employees from different countries and work experiences. “The staffs tend to stay with NIB for a long time - average length of service is 11,7 years. We pride ourselves in providing extensive professional development for the staff”, says Andreas Nyberg, HR Business Partner at Noedic Investment Bank. Part of this professional development is Raising the Bar program, tailored to NIB by Aalto University Executive Education. What was the primal objective for NIB when you started planning this program? How has the overall experience and co-operation with Aalto EE been? The focus of the program has been to better understand your clients and their needs, main goals to strengthen professional identity and raise participants' professional competence, and to broaden understanding about the business environment. Have you achieved these goals? How has the program helped participants to better understand clients and the business environment?